This project redefines the traditional conception of Museum of Art, to transform it into an institution based in the community both administratively and resource wise. 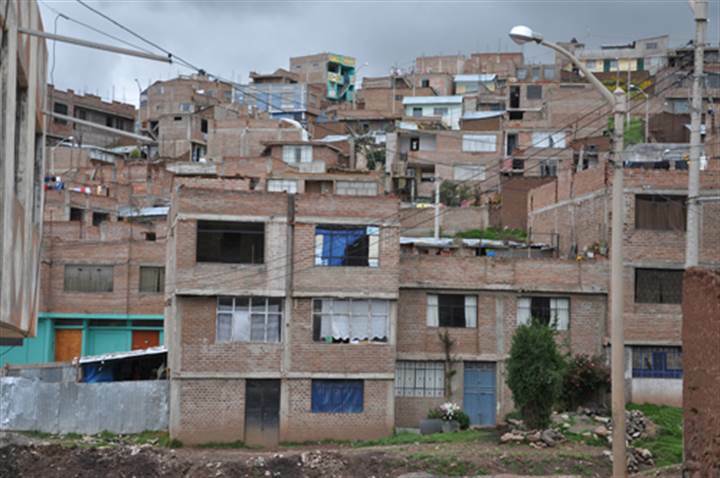 It proposes to use unfinished rooms in houses of low income areas in the town of Puno-Peru, which need construction work, offering their owners to carry out those works for free, with the condition that in exchange they allow us to exhibit contemporary art in those repaired spaces for a period of time. When we gather a number of rooms in several houses we would have a museum extended over the city. In this way the visitors of the museum while viewing the exhibition would get to know the city and interact with the neighbors. The city itself becomes into part of the exhibition and the museum becomes a social catalyst. The museum would be open to the public; it would have a central administration office and a system of ticketing both managed by the community. After the exhibition period has ended, the repaired spaces will remain as part of the houses, and new houses will be incorporated. As part of the museum agenda, there would be workshops and educational programs directed to members of the community. Local and International artists would be brought to Puno. At a later stage national and international institutions will be invited to sponsor pavilions as part of the museum. The project could become into a model applicable to towns that gather similar conditions.